Makeup is art and that certainly appears to be the theme of the Make Up For Ever x Jessie J collab. While many brands have been partnering with vloggers and online influences in 2016, MUFE is hitching its beauty wagon to the gorgeous English pop star, who changes her hair and her look often. When Jessie J first burst on the scene, she rocked a black bob with blunt bangs. She shaved her head for charity and has rocked a bleached blonde pixie, making her a chameleon. When is the Make Up For Ever x Jessie J collab out and what can we expect? 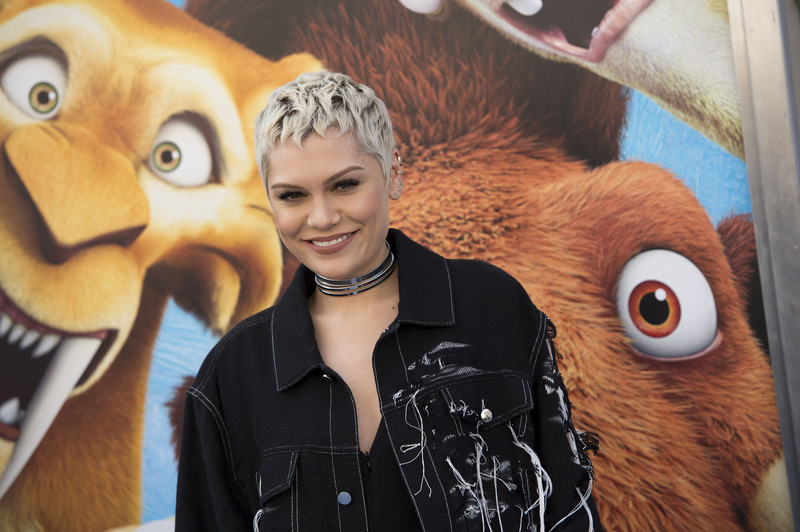 According to PEOPLE, Jessie J is fronting the brand's #iamanartist campaign and she created four collections, all of which will launch in 2017. First up is the Acrylip paints, which arrive in January. As Jessie told PEOPLE, the Acrylips "come in every color and it stays on for ages." Statement lips were one of the trends of 2016 and that looks to continue into the next year, at least with this partnership. As Jessie revealed in her chat with PEOPLE, she does her own makeup for performances and events, like red carpets, 98 percent of the time. That's why she is perfect to rep this campaign — she is an artist on two levels! This is one of the first campaign images. Jessie also told PEOPLE that she "always wanted to do a makeup campaign" but waited for the right brand with which to associate herself. She chose MUFE because it "embodies individuality, and being able to create and really express yourself at every level, whether it's a full-blown complete transformation or a soft look. I'm someone who definitely likes to do everything with my makeup and explore. This is real personal for me." MUFE x Jessie J is a perfect match. I cannot wait to see more of the products.